Yesterday in France, thousands of workers, students and pensioners took to the streets for protesting the anti-people policies of President Emmanuel Macron. Nearly 300,000 people were mobilized in more than 100 rallies organized all over the country within the framework of this first inter-professional day of action since the summer holiday. The Movement of Young Communists of France (MJCF), the youth organization of the French Communist Party (PCF), issued a statement calling upon the youngsters for mobilizing in the name of their right for education and work. Putting forward the government's incapacity for fulfilling the needs and aspirations of its citizens - especially the youth - the MJCF demanded the revision of the laws that are in the government's agenda. The Pole for Communist Revival in France (PRCF) asserted in its statement for the demonstrations of October 9 that even police repression did not help "Macron-Thatcher", the employer federation MEDEF and the European Union to make the youth and workers step back from their position. The PRCF claimed that Macron wants to liquidate "independent France" by incarnating "Europe of grand capital" with the substitution of national sovereignty with European sovereignty, the organization of a European army and a Euro-zone government, intervention of the English language into French, violation of the separation between the State and the Church, privatizations and the granting of the French industry to transnational capital. At the end of the statement, the PRCF called for support for the strikes in a perspective for building a class-oriented trade-unionism, for the rejection of the lie for a "social Europe", for a leftist disengagement from the EU, euro and NATO, and eventually for the reconstruction of a "sincerely communist party" in the name of the socialist-communist transformation of the society. 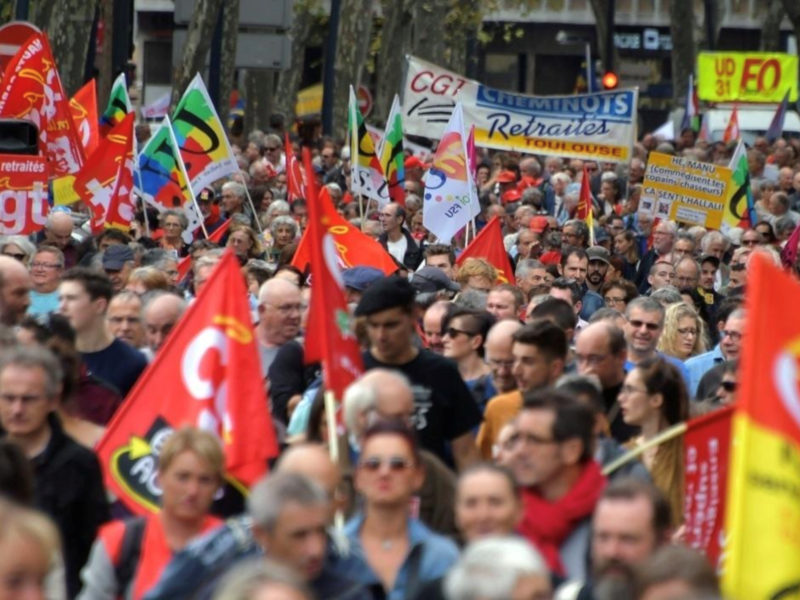 The statement of the Revolutionary Communist Party of France (PCRF) underlines the paradox that a political crisis showed up again only a year after Macron was chosen by the bourgeoisie for overcoming the political crisis and for imposing barbaric and reactionary measures against workers and popular masses. In face of the attack of the bourgeoisie, the PCRF emphasizes the necessity for the counter-attack of the proletariat by opposing any political component of the bourgeoisie and by adopting the anti-capitalist alternative of socialism-communism, which is explained as the only perspective against the general crisis of capitalism. See the link for the statement of the MJCF. See the link for the statement of the PRCF on Initiative communiste.